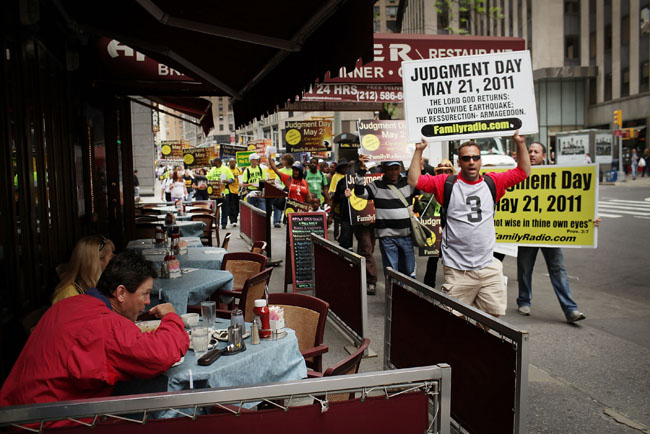 Tim Wadsworth: Is May 21, 2011 “Judgment Day”? Is May 21, 2011 “Judgment Day”? Predictions from a small American religious sect have gained widespread attention. Will the world end this year? The movement spreads. The following grows. Gradually, the world takes notice. Have you? For several years, a former civil engineer based in California, Harold Camping, has proclaimed that the world will face “Judgment Day” on May 21, 2011. “On May 21, 2011 two events will occur. These events could not be more opposite in nature, the one more wonderful than can be imagined; the other more horrific than can be imagined. “A great earthquake will occur…This earthquake will be so powerful it will throw open all graves. The remains of all the believers…will be…glorified…the bodies of all unsaved people will be thrown out upon the ground to be shamed. Should you be alarmed at Mr. Camping’s dire prophecies? Is there any truth to his claims? Does the Bible validate these sensational ideas? After reading this article, you will know with absolute certaintywhether “the end of the world” will arrive this year! Make no mistake: Harold Camping is a prophet—a false prophet. Every scripture he cites—without exception—is twisted, mangled and butchered. The Bible warns of such “evil men and seducers” (II Tim. 3:13) in our time, but like all of its other warnings, most do not heed. False prophets prey on people’s natural fascination with the future. The apostle John warned of them: “Believe not every spirit, but try [test] the spirits whether they are of God: because many false prophetsare gone out into the world” (I John 4:1). Jesus added this warning: “And many false prophets shall rise, and shall deceive many” (Matt. 24:11). Now ask again: How many worry about being deceived? Most ignore these passages. But this comes with a price. Jesus also warned, “Beware of false prophets, which come to you in sheep’s clothing, but inwardly they are ravening wolves” (Matt. 7:15). It is not always easy to detect these deceivers. None of them wear signs exposing who they are. They are smooth operators, but their teachings tear people’s understanding as wolves rip prey. How can you tell a false prophet? Let Jesus answer: “You shall know them by their fruits...” (Matt. 7:16). And four verses later, “By their fruits you shall know them” (vs. 20). Many are aware that Mr. Camping falsely predicted “Judgment Day” would occur in 1994. This could not occur with a prophet of God. Notice: “We have also a more sure word of prophecy...” (II Pet. 1:19). God’s prophecies are sure. They never miss. Not one! Here is God’s command regarding prophets: “And if you [ask] in your heart, How shall we know the word which the Lord has not spoken?” (Deut. 18:21). God’s answer is, “When a prophet speaks in the name of the Lord, if the thing follow not, nor come to pass, that is the thing which the Lord has notspoken, but the prophet has spoken it presumptuously: you shall not be afraid of him” (vs. 22). This passage reveals that men can presume to speak for God. This is very serious to the God of the Bible. It should also be serious to you. You must know if God sent a man—or if the man sent himself. The true prophet Ezekiel recorded, “Son of man [Ezekiel], prophesy against the prophets of Israel...and say you unto them that prophesy out of their own hearts, Hear you the word of the Lord; thus says the Lord God; woe unto the foolish prophets, that follow their own spirit, and have seen nothing” (Ezek. 13:2-3). Think of the confusion and fear that Mr. Camping’s presumptuous prophecies have engendered. But God declares, “you shall not be afraid of him” (Deut. 18:22). 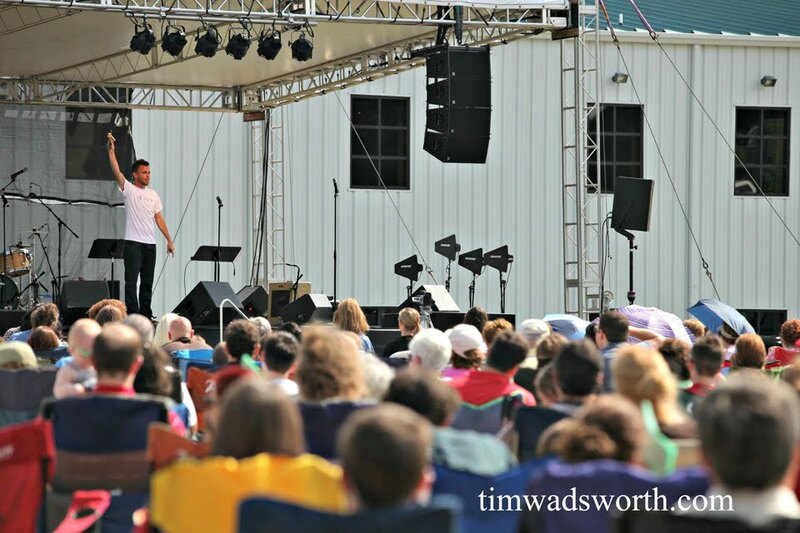 Again, this is serious to God—and it should be to you! Elijah, a true prophet of God, was not afraid to mock the prophets of Baal (I Kings 18). Modern false prophets are deserving of the same. Mr. Camping’s ignorant blather contains so many blatant errors and ridiculous ideas that to debunk them one by one would require a very lengthy article—or even a book. However, his ideas are so obviously false and so easy to disprove that most readers will be able to do this for themselves. As false prophets go, he is a rank amateur, and not very effective at his craft. No serious Bible student could believe this. While Mr. Camping may be sincere, he is deceived and utterly false! But recognize that Mr. Camping represents the front edge of a coming wave of false prophets who will “wax worse and worse, deceiving and being deceived” (II Tim. 3:13)—becoming more cunning, persuasive and charismatic. Such men will eventually perform false miracles through the power of the devil who guides them (II Thes. 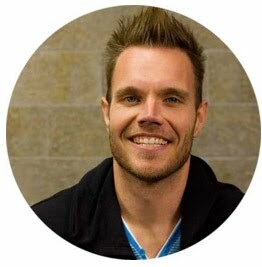 2:9; Matt. 24:24). But beforehand, the frontrunners will cause many to become jaded to the truth of Bible prophecy—history written in advance. Let’s look ahead to May 22. There will have been no rapture. No great earthquake. No graves opened. No Judgment Day. Mr. Camping will have only two options: (1) admit that he is a false prophet (highly unlikely), or (2) spin it in some way—claim that his prophecy was fulfilled in some mysterious fashion. Perhaps he will attempt to portray the hundreds of minor earthquakes that normally occur around the world on any given day as a fulfillment of his “worldwide earthquake” prediction. However, he will have a most difficult time trying to explain how other elements of his false prophecy were “fulfilled.” Nevertheless, prepare for the spin! World trends and conditions are worsening, leading many to look for answers from the Bible—seeking a source of clarity and authority on God’s Word. Religious entrepreneurs, taking advantage of the situation, seize the opportunity to spew prophetic nonsense. Preying upon people’s ignorance of the Bible, these usually gain a following and material reward besides. But their wrong motives and lack of knowledge do not negate the very real prophecy contained in the Scriptures—prophecies you can know and understand! In the Introduction to The Bible’s Greatest Prophecies Unlocked! David C. Pack writes: “Suppose you could know the direction and conclusion of world events—world history—in advance of the outcome. What if you could know the courses of nations before they happen? What if the future of great nations—indeed the greatest nations—could be known? Imagine knowing tomorrow’s biggest headlines before they come to pass, and how events will affect you, and every human being, personally. “Approximately one-third of the Bible is prophecy—history written in advance. Over four-fifths of thisfuture history is yet to be fulfilled. Tragically, most Bible readers are completely unaware of awesome, impending world events, soon to involve all nations. Vast sections of Scripture are hidden, and remain outside their understanding—completely lost to them. The result is that most simply have no idea what the future holds. “Many have opinions, but few recognize how to find the answers. Others think they already understand the prophecies of the Bible. The result? They remain ignorant of fascinating, incredible—vital!—knowledge, life-changing knowledge. If you are serious about learning the truth of the end time, read the most comprehensive book ever written on the subject. 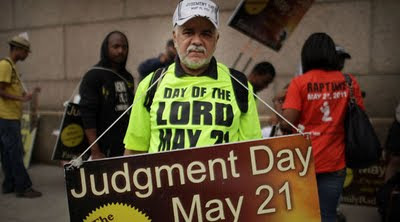 Before May 21 arrives, you can know it is not Judgment Day!